The big question, “When is the right time to do Disney World?” has been nagging away in my head for a long time. Growing increasingly louder in the last year especially, as Arlo (6.5) and Rory (4) have become completely sold on the TV adverts and have begun to ask us if we can go. Sam and I both remember our childhood trips to Disney World with great clarity and fondness. It’s the sort of once in a lifetime trip that never leaves you, as stories are told and retold forever more at family gatherings through the years. A big holiday like that is never going to fade quietly into the distance. You embark on a Disney World holiday with the exact purpose of memory-making. And, now that we have grown up and have children ourselves, we were both exceptionally keen to create our own Disney World experience for our young family. Knowing we could most likely afford to do a Disney World trip just once, our sensibilities told us “Not now, wait until they will all be old enough to remember”. But the more excitable part of my mind, the part with all the dreams and the wishes that I sometimes don’t dare to even speak aloud, was disappointed with that idea. That part of me was screaming to go now, NOW, whilst they are still really young and will find it all completely magical and like nothing they’ve ever seen before. I wanted to watch their awe-struck faces, I wanted to experience it with them whilst they did truly believe that Mickey Mouse is Mickey Mouse and Pluto is Pluto. I wanted it for them, but actually, mostly, I think I wanted it for me. Late one night a few weeks ago, as Sam and I were lounging on the sofa having just finished an episode of Fargo, an email notification pinged onto my phone screen. I jumped up immediately and began earnestly composing my application from my computer. The email was from Mumsnet, who were partnering with Disney to find two bloggers and their families to send to Disney World and review their experiences. If my memory serves me correctly, I’d had a few glasses of wine, and it was past midnight. So my dreams that I usually don’t dare to voice came tumbling out all too easily. 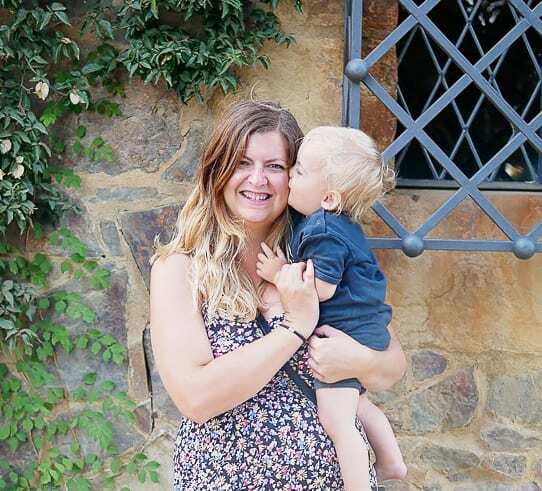 I wrote about how much I wanted to take my children whilst they were still young, about how much we still remember our family trips with our parents, about how it would be a gift to ourselves as well as our children, and about how we have pretty good theme park stamina and that jet lag and long days in the parks would be no match against our drive to “see it all”. And guess what?? A few days later I got an email back saying “We’d love to take your family to Disney World!”. I think it was the longest few minutes of my life waiting for Sam to answer my phone calls. I must have called him about five times and left several “Call me AS SOON AS YOU GET THIS” texts as when he called back he thought there was some kind of emergency happening. And so, that was how we found ourselves boarding a Virgin Atlantic flight to Orlando just a couple of days later. THAT, was how I found myself with a perpetual grin on my face from that moment on, because this dream had come true. I was getting to take my children to Disney World whilst they were young and the magic was strong. I couldn’t believe it was happening. I still can’t believe it happened. Our week at Disney World was like a dream. A total, utter dream. Forgive me whilst I use the ultimate cliche in describing a Disney World holiday, but I honestly can’t think of any other way to sum up our time at Disney World other than to say it was the happiest, most magical time. We have just returned from a seven night trip exploring all four Disney theme parks, and one of the two Disney Water parks. It was the ultimate action packed week. I have so many photos and so much to say, that it’s actually hard to know where to begin. There are a few things that I want to talk about in more detailed blog posts, like our thoughts on each of the Disney parks, the Disney Dining Plan, and using the Disney on-site transportation system rather than hiring a car. So I will dedicate separate posts to these things and a few more. But for now, I would like to write up the special moments from our trip, whilst they are fresh in my mind and making me smile every day. Here are my top 14 highlights from our trip to Disney World (It was impossible to narrow it down any more than this!) I will expand on many of these points in later posts. Rory very cutely calling the parade a “Hoorayed”. Watching “Happily Ever After”, the Magic Kingdom night time show, and telling the boys “You will NEVER see a fireworks show like the ones at Disney”. Sam getting picked out of the crowd to participate at the Monsters Inc Laugh Factory, and Otto completely stealing the show by grabbing the microphone and making everyone laugh at just the right point. Arlo completely losing the ability to hide his impressed face at the Indiana Jones stunt show. Rory’s hyper bounce every time he knew we were about to meet a character or go on a ride. Riding Toy Story Mania six times in one day, and realising that this ride is clearly going to be a family favourite. Experiencing our first lazy river as a family at Blizzard Beach, one of Disney’s water parks. Watching Sam have just as good a time as our boys, and realising with a swell of pride coupled with a huge dose of tear-pricking joy that I did this for them. Me, with my blog and my constant memory-capturing. Arlo being a complete trooper on his feet most of the day and staying up late most evenings. He didn’t moan or whinge once (a very rare thing! ), which made it all the more poignant for Sam and I, as we knew he truly appreciated this experience we were giving him and didn’t take it for granted in the slightest. Walking up Main Street as we arrived for the first time, holding hands with my boys as we looked up at the castle – there is nothing quite like that first moment as you arrive into the Magic Kingdom. I think I was possibly MORE excited than them, because I was excited FOR them, if that makes sense? Oh my goodness this sounds amazing!!! I’ve never been and would love to go…truly magical!! Looks like you had an awesome time and have some fab memories. Would love to visit in the future! WOW! What an absolute trip of a lifetime. I’m also dreaming of whenever we get chance to go on a family trip to Disney – although, I’m going to wait until we’re done having children so that no one misses out! Although… a cheeky trip to Disneyland Paris may be in order before then. LOVE all your gorgeous memories – you’ll be treasuring these for YEARS. What a fantastic opportunity. It sounds like you made the most of it. We would love to go, someday soon I hope! Your photos are amazing, I can’t get enough of their excited faces! I think I might start calling parades ‘hoorayeds’ too!